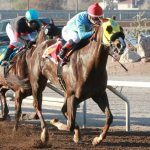 Part of a mighty Justin Evans trio, Mt Veeder rumbled through the stretch to win the $65,000 KLAQ Handicap at Sunland Park Racetrack Casino and Hotel on Saturday in track record time. Mt Veeder roared through the stretch to defeat stablemate Concord Fast by 1 and 1/2 lengths followed by Redneck Humor another three parts of a length behind in third. Well handled by jockey Alfredo Juarez, Jr., Mt. Veeder was raging with run coming into the homestretch. He escalated from third to first in the blink of an eye, taking command away from the embattled pace setter Redneck Humor. 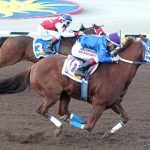 The winner was let go at 4-1 odds despite winning the Zia Sprint Championship last month. The four-year-old Ghostzapper gelding was part of a 10-horse field displaying career earnings of nearly $1.8 million. The former $10,000 claimer from SunRay Park has reeled off 7 wins from his last 8 starts. 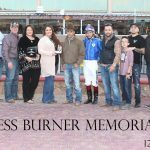 The blistering winner set a new track record for the 5 furlongs in 55.35 seconds, besting the former mark held by Alsono of 55.72 set on Dec. 19, 2015. Alsono was also trained by Evans. 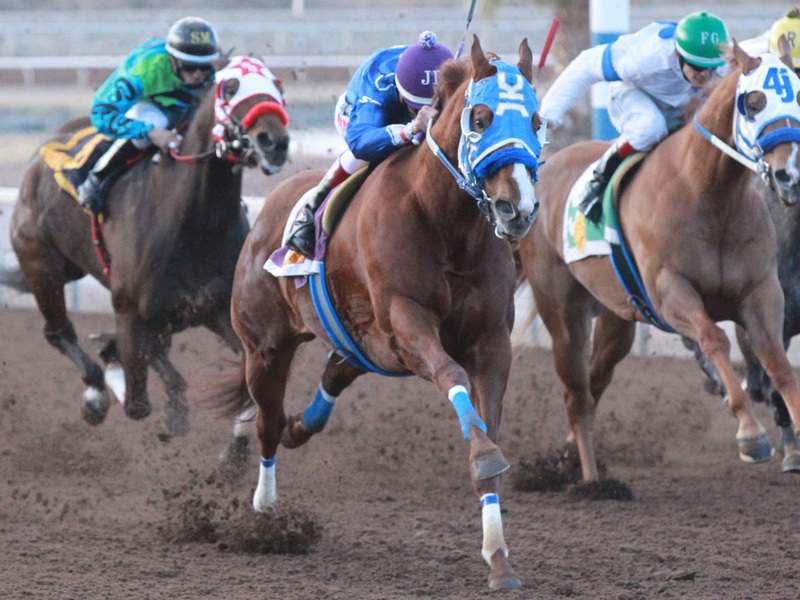 Mt Veeder earned $39,000 for his KLAQ victory, pushing his lifetime bankroll past $240,000. In total, he has 9 wins from 17 starts. The former $200,000 Keeneland September 2014 Sales graduate is owned by Bill Tomasic and Go-To-Toga Racing LLC. 2016 Riley Allison and Mine That Bird Stakes winner Concord Fast ran a bold race to gain second with a fast closing flourish. 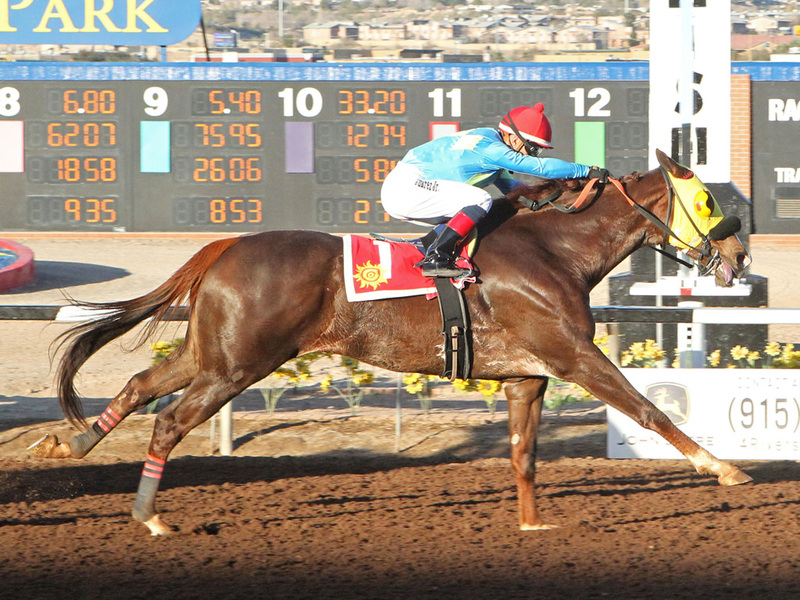 The runner-up was ridden by 5-time Sunland Park Jockey champion Ry Eikleberry. 8-5 favorite Redneck Humor pushed the pace for much of the feature and finished a solid third. 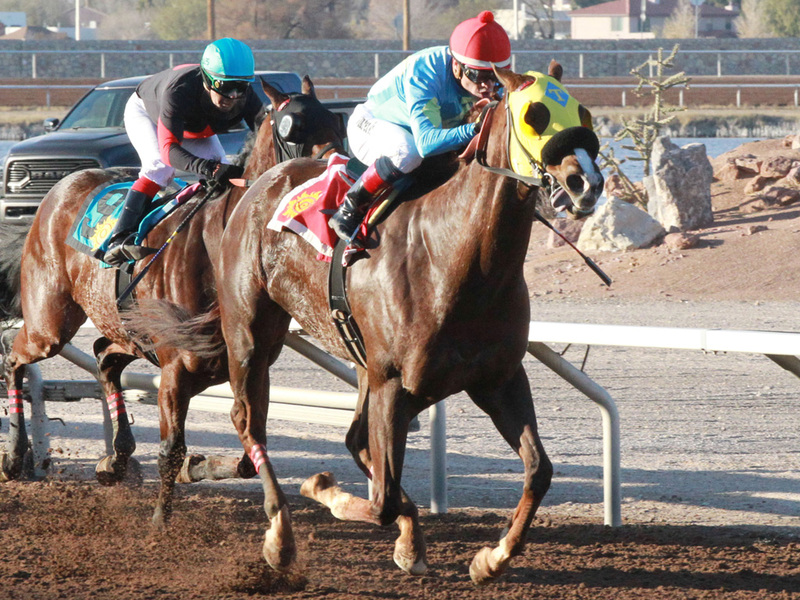 Last season’s Bill Thomas Memorial winner trained by Evans has always relished the Sunland Park track. The all-Evans trifecta returned $141.20 on a $2 ticket. 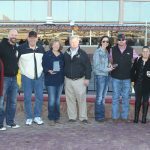 Evans is a 5-time Sunland Park training champion. Play Misty Foreme was too tough and raced to a convincing half-length win in the $85,000 Jess Burner Memorial Handicap going 400 yards. Last year’s third place finisher in the Jess Burner was sharp early and never relinquished control of the lead. Under jockey Jose Luis Enriquez, Play Misty Foreme sped through the distance in a fast 19.067 seconds, good for a 102 speed index. 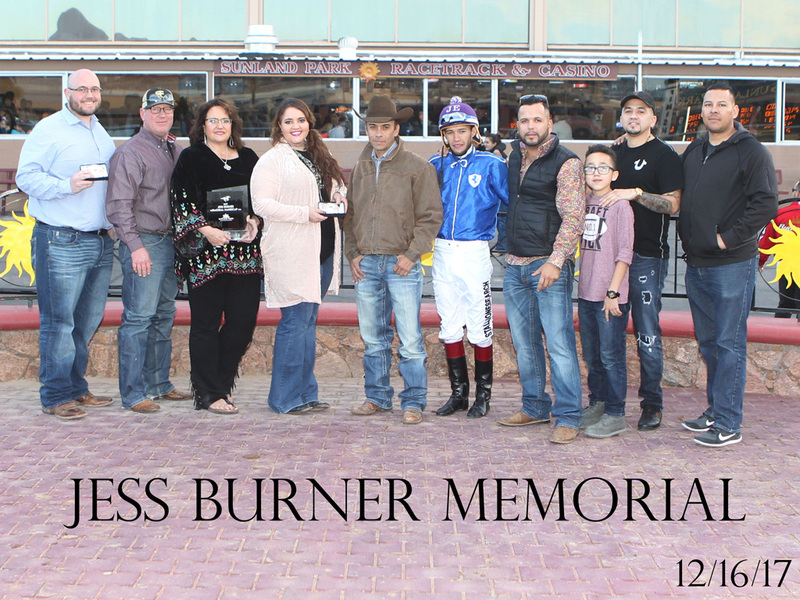 The four-year-old Jesse James gelding earned a measure of revenge over Major Bites who won the New Mexico Classic Cup Championship last October at Zia Park. 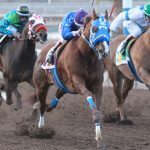 Major Bites had to settle for second place under jockey Jose Montoya. Yudes Jess Dashin wound up third beaten nearly 2 lengths. 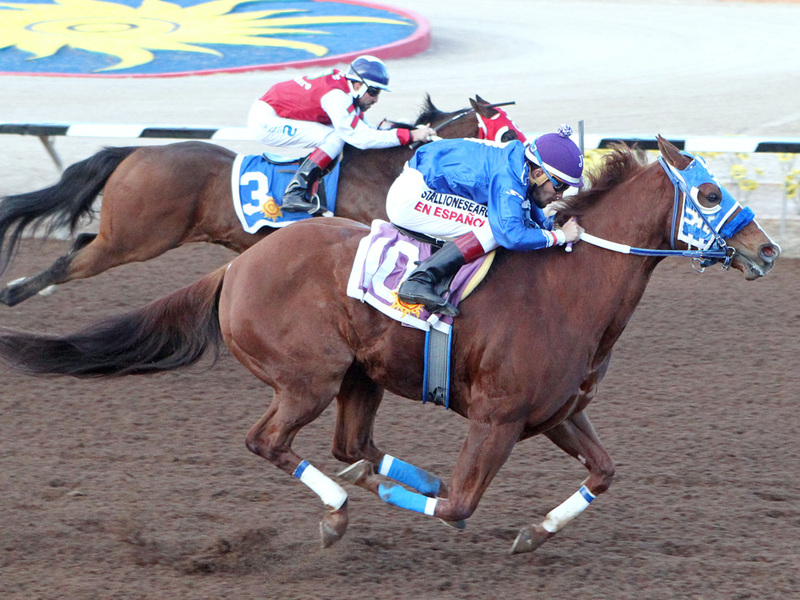 5-2 favorite Running Dragon suffered her first defeat at Sunland Park in 7 career starts. She hopped at the start and was never in contention. Live racing resumes on Sunday at 12:30 p.m. 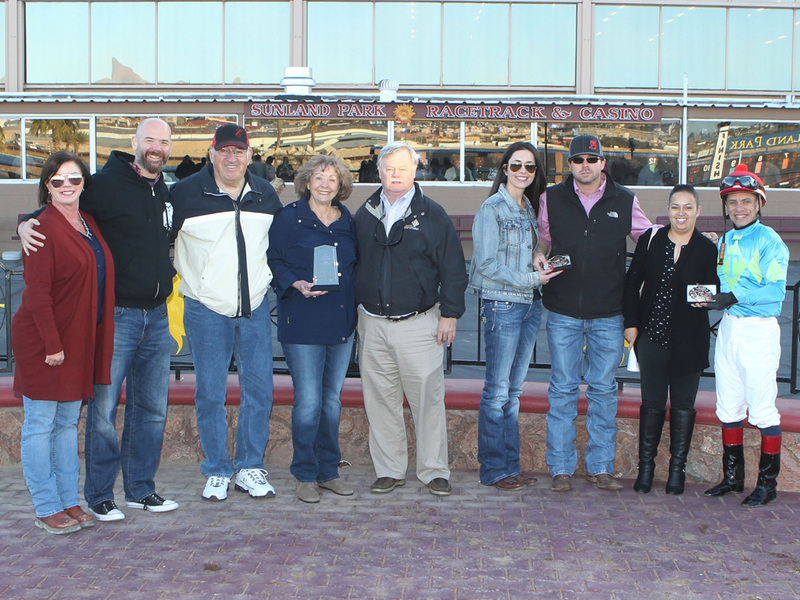 The $85,000 New Mexico State Racing Commission Handicap (8th race) starring Diabolical Dame and the $85,000 Johnie L. Jamison Handicap (9th race) starring Forger and Citizen Geller are the feature races.